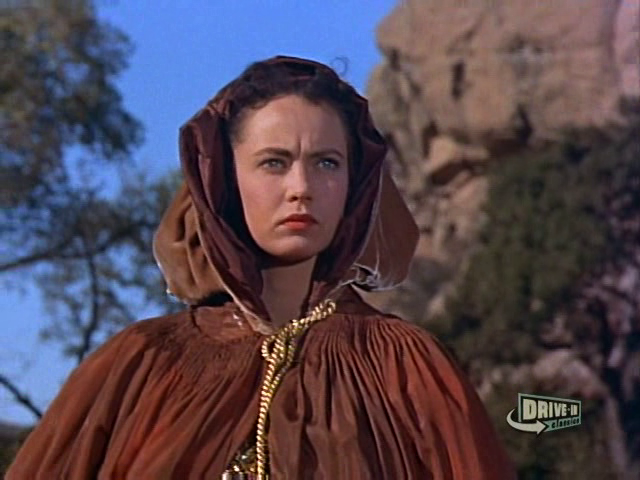 In 1954, lovely actress Betta St. John co-starred with Ricardo Montalban in The Saracen Blade. 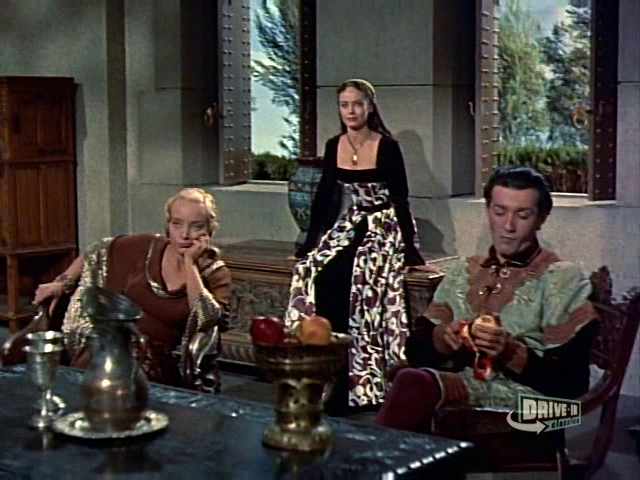 Based on the classic novel by Frank Yerby and directed by legendary filmmaker William Castle, the movie is an exciting adventure set in late 12th century Italy. 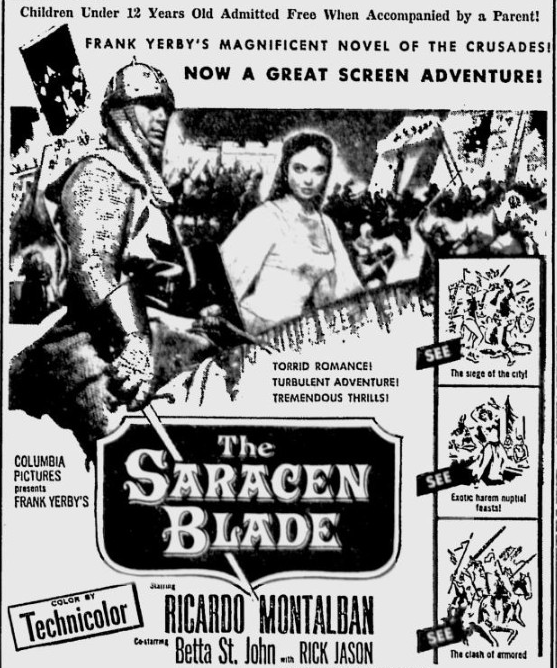 Inexpensively made but quite engrossing and very fun, The Saracen Blade is a fabulous '50s film to be enjoyed by all. 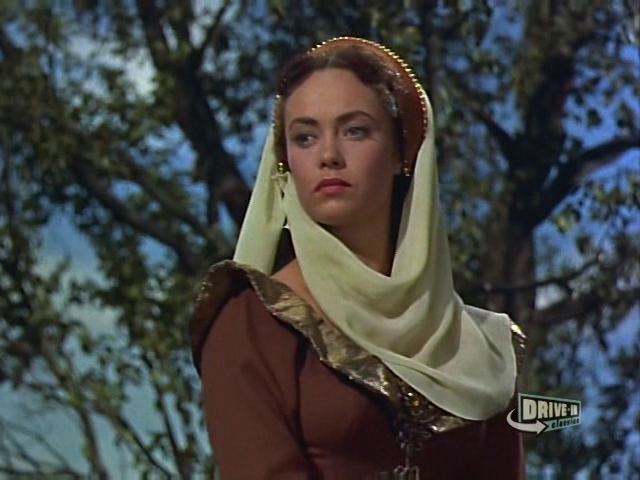 In The Saracen Blade, Betta St. John plays the beautiful Iolanthe. 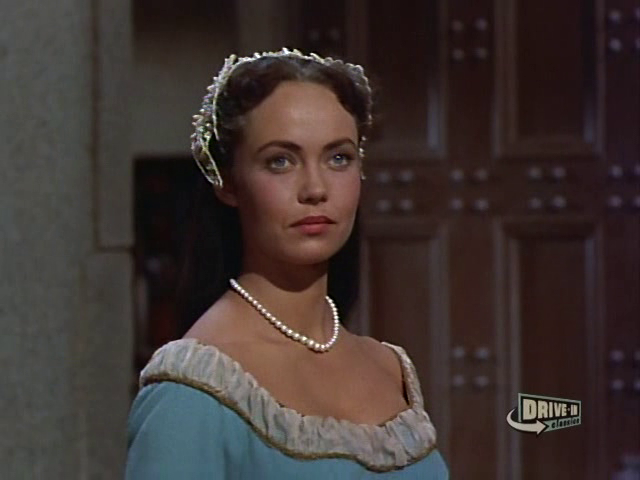 She is in love with Pietro (played by Ricardo Montalban) and she shares many of her scenes in the movie with him. 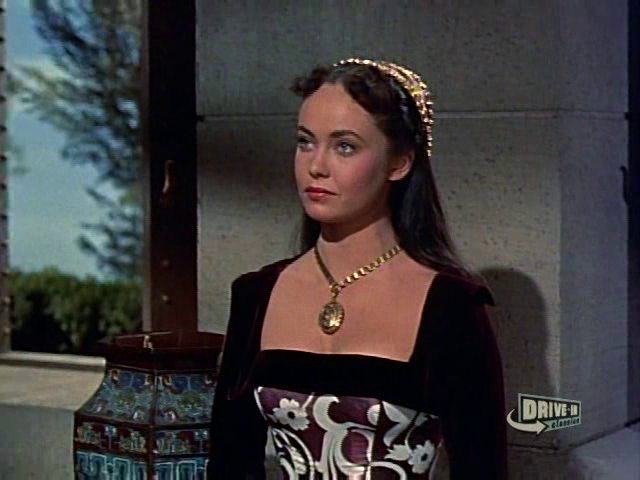 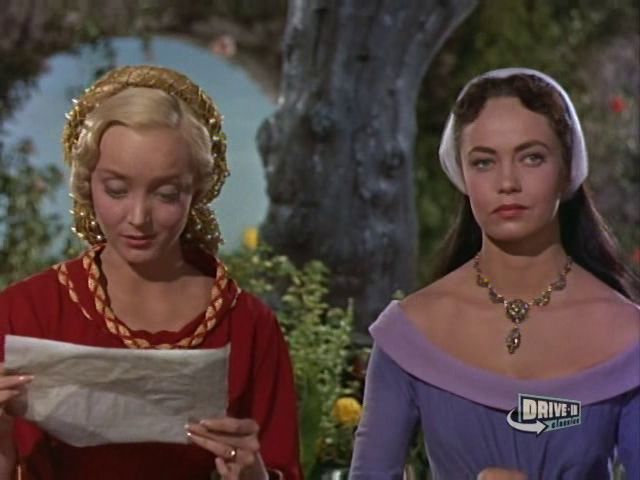 She also has several scenes with her rival Elaine, portrayed by famous actress Carolyn Jones. 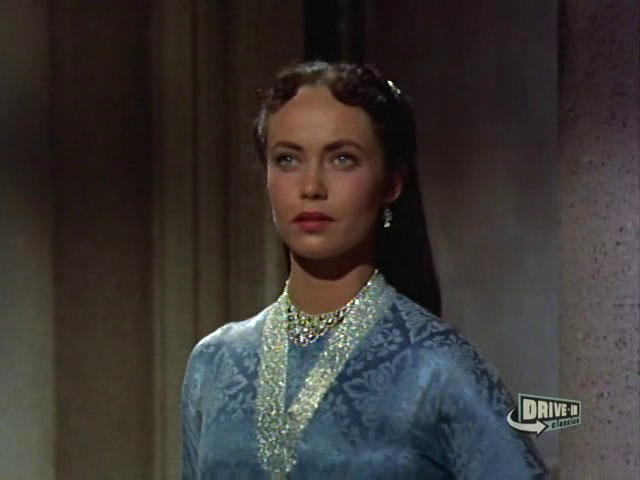 Throughout the film, Betta St. John is quite composed, elegant and attractive and she is perfect for her role.